Funders’ Roundtable is a group of Tulsa-area funders, and their representatives, who meet monthly to network and learn from one another. Membership is open to those philanthropic entities that provide broad-based community grantmaking. Members share contribution policies, guidelines and specific goals and interest areas, as well as information on which programs and nonprofit agencies they are supporting. In addition, the group is able to learn more about the nonprofit sector through speakers, programs and articles. The group also discusses emerging issues in the philanthropic community and learn from one another. Funders that meet the membership guidelines and are committed to philanthropy in the Tulsa area are welcome. 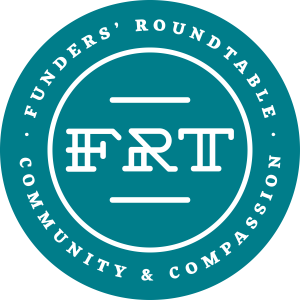 For more information on the Funders’ Roundtable program, please contact Tulsa Community Foundation at (918) 494-8823. Tulsa Community Foundation – Your Values – Your Legacy – Your Community.